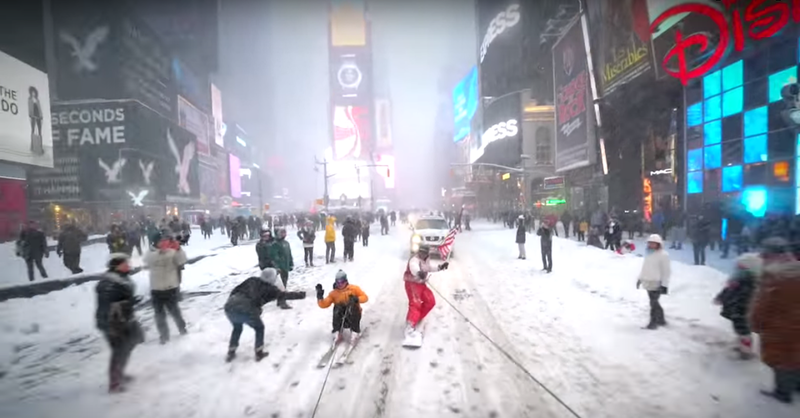 The video “Snowboarding with the NYPD” by Casey Neistat blanketed the internet in less than 24 hours. Step Four: Start from a position of strength. Casey’s channel has over 1.9 million subscribers. He has a legion of followers. He publishes videos nearly every day. Not every one of his videos will go “viral.” Not even close. However, having that consistent connection with his community means that the stage is set for something to take off when the opportunity arises. Step Six: Everyone knows there is snowmaggeddon drama in New York and Times Square today. Step Eight: Have the right team. Step Nine: Create something that works. The story arc comes around and resolves at the end of the video. While I smiled at nearly every scene, I also spent the entire video wondering when they were going to get busted. They finally do get pulled over — and the reaction of the cops is priceless and unexpected. They nailed the title of the video as well, setting up its inherent tension and conflict. — By the way. I hate that term with the fire of a thousand suns. This article was originally posted at socialcustomer.com.